Oh. Em. Geeeee. 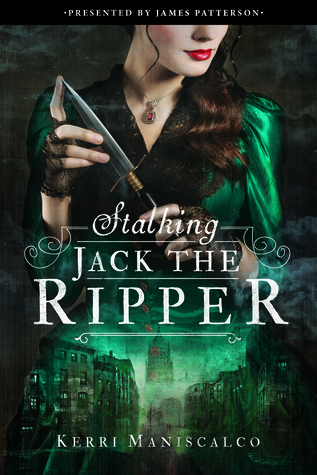 You guys have been INCREDIBLE with your early support and love of STALKING JACK THE RIPPER! I have been so impressed with all the bookstagrams and photos on instagram and twitter, and all the excited tweets and buzz. Y’all are seriously amazing. I can’t even describe how much your excitement means to me. Seriously. Each tweet or message or note is a treasure that I’m going to hoard forever. To celebrate all of the excitement over SJtR, and to say thank you, I thought I’d share some exclusive behind-the-scenes pictures from the cover shoot. Sound good?! All cover shoot photos were taken by my super-talented and lovely editor, Jenny Bak. (The ARC picture is from my personal photo library.) Enjoy this sneak peek at the hard work that went into the cover we all adore so much. Thank you to art director Tracy Shaw and uber talented photographer Carrie Schechter for bringing Audrey Rose and Victorian London to life. Now onto the good stuff!!!! Great hair is also a must. The makeup artist was a complete genius with taking our modern model and giving her that authentic Victorian feel. If you’d like to read the first chapter, please check it out on Entertainment Weekly by clicking here. There’s nothing quite like setting the mood and atmosphere of your novel from the very first line. Here are my favorite ten gothic horror first sentences, from classics to contemporaries, that hooked me right away. It’s a great little exercise to use when reading over your own manuscript. Does your first sentence hook the reader? Does it give the reader a hint of what’s in store for them? And, most importantly, does it make you want to read on? i love all things Fall. i love the crispness in the air, the crunch of leaves beneath my feet, the way the soil smells, and how it all culminates into one of my very favorite holidays: Halloween. i also love being creeped out, no matter what time of year it is – dating back to hiding under my covers and reading Stephen King novels as a middle-schooler. so without further adieu, here are some new titles that i cannot WAIT to get my hands on. what creepy/horror-rich book are you looking forward to (or have read) this year??? A romantic, historical retelling of classic Gothic horror featuring Edgar Allan Poe and his character Annabel Lee, from a New York Times best-selling author. Summoned to her father’s home in 1820’s Philadelphia, a girl finds herself in the midst of a rash of gruesome murders in which he might be implicated. She is torn romantically between her father’s assistants-one kind and proper, one mysterious and brooding-who share a dark secret and may have more to do with the violent events than they’re letting on. Just as Vayda and Ward draw closer, she finds the past isn’t so easily buried. And when it follows the Silvers to Black Orchard, it has murder in mind. There is a right way and a wrong way to summon her. Jess had done the research. Success requires precision: a dark room, a mirror, a candle, salt, and four teenage girls. Each of them–Jess, Shauna, Kitty, and Anna–must link hands, follow the rules . . . and never let go. A thrilling fear spins around the room the first time Jess calls her name: “Bloody Mary. Bloody Mary. BLOODY MARY.” A ripple of terror follows when a shadowy silhouette emerges through the fog, a specter trapped behind the mirror. Once is not enough, though–at least not for Jess. Mary is called again. And again. But when their summoning circle is broken, Bloody Mary slips through the glass with a taste for revenge on her lips. As the girls struggle to escape Mary’s wrath, loyalties are questioned, friendships are torn apart, and lives are forever altered. A haunting trail of clues leads Shauna on a desperate search to uncover the legacy of Mary Worth. What she finds will change everything, but will it be enough to stop Mary–and Jess–before it’s too late? Emmeline knows she’s not supposed to explore the woods outside her settlement. The enemy that wiped out half her people lurks there, attacking at night and keeping them isolated in an unfamiliar land with merciless winters. Living with the shame of her grandmother’s insubordination, Emmeline has learned to keep her head down and her quick tongue silent. When the settlement leader asks for her hand in marriage, it’s an opportunity for Emmeline to wash the family slate clean—even if she has eyes for another. But before she’s forced into an impossible decision, her dreams urge her into the woods, where she uncovers a path she can’t help but follow. The trail leads to a secret that someone in the village will kill to protect. Her grandmother followed the same path and paid the price. If Emmeline isn’t careful, she will be next. Mysterious. Magnificent. Creepy. Welcome to Rockford Manor. “There’s something hidden in the Maze.” Seventeen-year-old Imogen has never forgotten the last words her father said to her seven years ago, before the blazing fire that consumed him, her mother, and the gardens of her family’s English country manor. Haunted by her parents’ deaths, Imogen moves to New York City with her new guardians. But when a letter arrives with the news of her cousin’s untimely death, revealing that Imogen is now the only heir left to run the estate, she returns to England and warily accepts her role as duchess. All is not as it seems at Rockford, and Imogen quickly learns that dark secrets lurk behind the mansion’s aristocratic exterior, hinting that the spate of deaths in her family were no accident. And at the center of the mystery is Imogen herself–and Sebastian, the childhood friend she has secretly loved for years. Just what has Imogen walked into? Combining a fresh twist on the classic REBECCA with a spine-tingling mystery and powerful romance, SUSPICION is an action-packed thrill ride.